Amate Anejo - Having matured in white oak barrels for more than one year, this specially aged reserve offers the finest flavor you can find, with a golden color as rich as the taste. 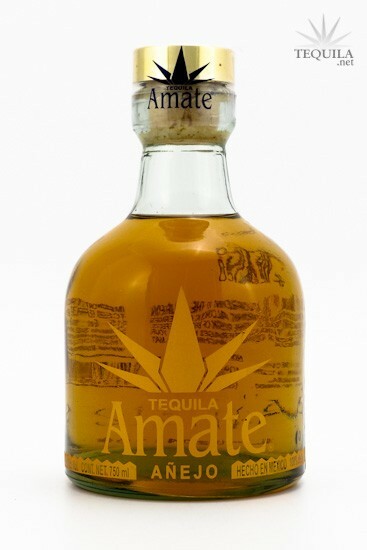 Tequila Amate is one of the highest caliber, made from 100% pure Blue Agave. That's how ultra-premium Amate delivers the smooth balanced, authentic flavor in all three of its award winning varieties. Previously produced at NOM 1137, Amate changed to NOM 1173 in 2012. A very solid, very dependable anejo. Lovely nose, soft and beautiful. Caramel, a little fruity, and a little bit of woody earthiness - I received a quick olfactory flash of Casa Noble anejo. Taste continues on the caramel/fruity route with some happy spice on the tongue and a satisfactory medium finish, with definite hints of chocolate and burnt sugar. Tasty, no astringencies, nice body - there's nothing wrong with this anejo. 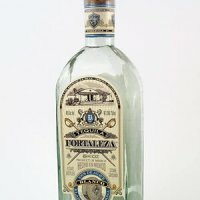 It's a very pleasurable tequila to have in a bar (Reposado Bar, Toronto) but nothing I would go out of my way to sneak back across the border. I mean bring back and declare. Aroma: Lots of agave caramel and fruit notes. A nice sweet smell. Initial Taste: About as sweet as tequila can get. The aroma is a good indication of what you can expect. Body: Thick and rich. The caramel notes come through really well. Fruit and wood mix in as well for a nice overall flavor. A very good tequila overall...especially for those who like things on the sweeter side. For $40-45, it's well priced. $50+ seems too expensive. Nice simple bottle with a great heavy cork stopper. Amate anejo is a very good tequila that is perhaps slightly overpriced. Aroma: Very inviting. Good amount of agave nose and caramel and fruit comes through nicely. Initial taste: Very sweet. Wonderful agave and vanilla flavors in the first taste. Body: A nice thick body and the latter tastes give a nice flavor of fruit (like banana, not citrus) and its complexity with the wood makes it very unique. Finish: Fairly quick. Very smooth, no burn. I bought the bottle for $40, I've more often seen it around $50-55. At that price, it's still not a bad buy...there's just more tequilas that I like better at the same price point. Bottle is unremarkable, but the stopper is nice and heavy duty. I paid $60.00 for this bottle of Añejo and drank it out of a snifter. The Nose offered up a mild display of cream, earth and a smoldering fire (which was out in the distance). The initial taste is very relaxed, yet still detailed. It's oily and yummy body really work to make the initial taste a developmental process. It held onto the glass with a little bit of effort and showed a some thinness in it's legs. The finish was dynamic, yet still retaining a relaxed effort on your taste buds. It begins as a showcase of agave and sunshine, but then turns at the last minute to a spatter of vanilla. Over all this Tequila is very interesting and an honest Añejo. The white oak that it is rested in is clean tasting, and comes across as being of high quality. The bottle design is fine with a fat cork top that really stands out (while getting the job done). Over all, Amate "Añejo" is a fine tequila experience, with flavor and body. Bought 2/27/10 Paid $35, have had 5 oz from a tall shot glass. This is very similar to another NOM-1137, casa nobles. So I sampling them together to be fair. Color is the same. The nose of the Amate is sweeter, more of the caramel and vanilla comes through. You can smell the agave in both, the Casa Nobles and Amate are close but there are subtleties between the two. If you want a good test, get both and see what I mean, there is a bit more alcohol on the tongue with the Amate, but so close. To my mind, I enjoy both equally. Cost would be the only consideration. 55 vs 35, its a no brainer, although the Nobles is in a much nicer bottle. Casa Nobles is a great tequila, I have to say the same for Amate.